Would you like some Gold with your Tea? Gold is a special in India. It holds deep cultural and social significance, and, no wedding is complete without the exchange of gold. Demand for gold far exceeds India’s small production, and the country imports between 700 and 800 tonnes of gold per year. The price of gold is higher within the Indian market relative to the global market. 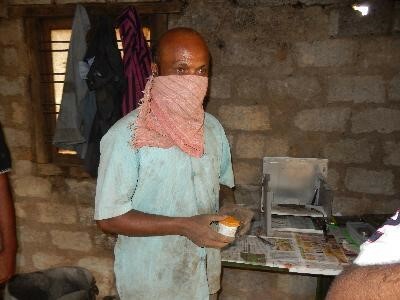 This has led to a spate of gold smuggling into the country in recent years. A little-known aspect of India’s mining history is the ‘gold rush’ that took place during the colonial times. 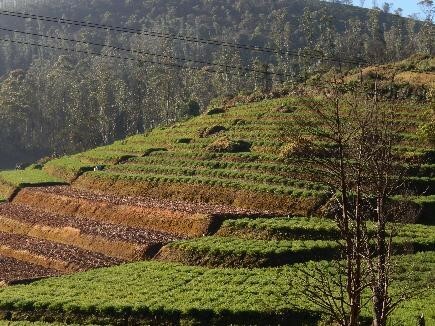 This rush is now represented by a steady flow of small scale mining in the Nilgiri-Wayanad region of the Western Ghats, a biodiverse and major tea growing area. The rich tea hides a distinctive cache of gold. Archival material from the early 1880s suggests that the British colonizers also responded to the allure of gold. 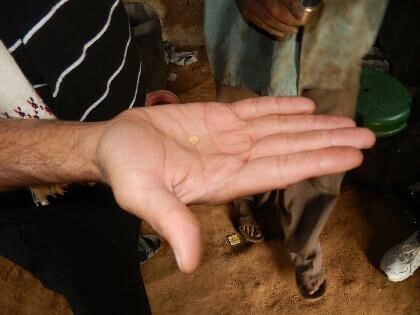 Reports of the amounts of gold available in the Nilgiri-Wayanad region were often inflated, leading to speculative floating of numerous gold mining companies in the United Kingdom that initiated substantial gold exploration. These dreams of large deposits of gold did not stand up to examination and most of the companies went into liquidation within twenty years. This marked the end of the ‘Indian gold rush’. Interestingly, the ‘constructed’ gold rush also led to the rapid spread of informal gold mining in the Nilgiri-Wayanad region, with many locals taking up mining as their primary occupation. Nearly a hundred years later, another story unfolded from the 1970s, when the Indian Prime Minister, Lal Bahdur Shastri (and Indira Gandhi) and the Sri Lankan leader, Mrs Sirimavo Bandaranaike, signed a treaty to bring back Tamil expatriates from Sri Lanka. These immigrants were re-settled in various locations, including Pandalur, and were given jobs in tea plantations. 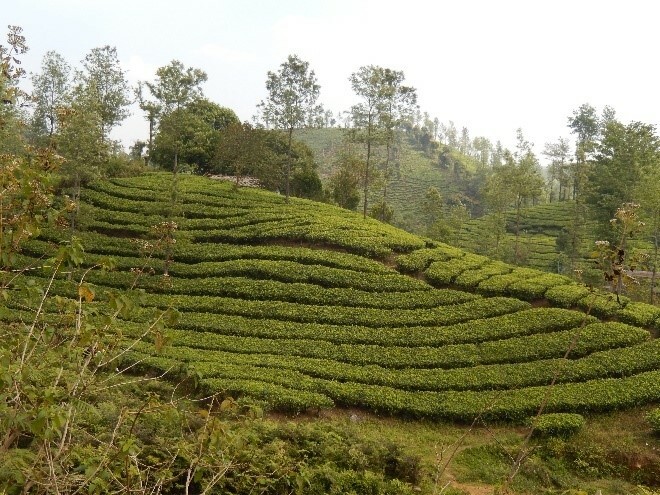 TANTEA, the state-owned tea estate was established in a clearing of dense forest cover of the Nilgiri Hills. 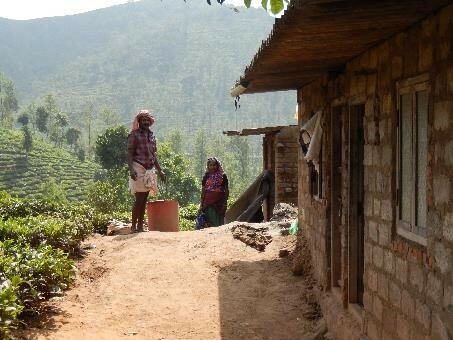 Largely unwelcome and poorly integrated into the social fabric, the repatriated Tamils took up informal mining within the tea estates. Other locals soon followed. 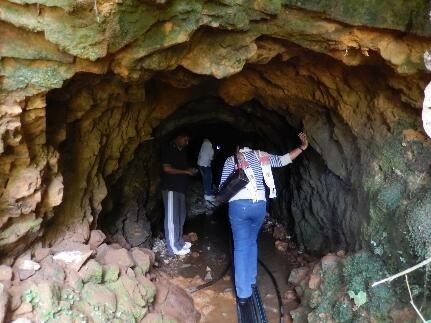 The tunnel in the picture is one of many that were dug on the hill slopes. Today, mining is done by digging long (up to 500 meters) narrow holes into the hillsides within the tea estates. About twenty or so people dig the hard rock, which is then transported to small, makeshift factory-sheds where the ore is crushed and concentrated by panning in small tanks. Finally, gold is extracted by amalgamation. Very low levels of technology and simple tools are used; the crushing mill, for example, is a simple stomper that is commonly used for grinding grain elsewhere in the villages. While, this mining plays an important role in the livelihoods of a number of communities, who sell the output locally, the entire operation is outside the legal fold. The Government of India classifies gold as a ‘major mineral’, which can be mined and administered only by the central government. This brief story outlines the role that location, history and geo-politics play in resource mining. It also tells a story about the importance of natural resources for the poor, particularly when profit margins are minute. As research progresses, further details of property rights associated with gold mining and its long-run implications will unfold.